"We've often wondered if Exxon actually hates our children because they so consistently stand in the way of safeguarding their future," campaigner said, "it turns out they apparently hate good journalism as well." ExxonMobil has launched a full-throttled "bully" campaign against the graduate students who recently unmasked its scandalous climate change cover-up threatening to pull funds from the university that helped bring to light its dangerous and "most consequential" lies. In a letter (pdf) addressed to Columbia University President Lee Bollinger and obtained by Politico, the oil giant's vice president of Public and Government Affairs accuses a team of investigative journalism students of violating the school's research policy by "suppressing" or "manipulating" information to produce "deliberately misleading reports" about ExxonMobil's climate change research. "The reports, produced by a team headed by Susanne Rust, an instructor at the Columbia Journalism School, cherry-picked -- and distorted -- statements attributed to various company employees to wrongly suggest definitive conclusions about the risk of climate change were reached decades ago by company researchers," wrote Exxon's Kenneth Cohen in the letter, dated November 20. The lengthy letter then proceeds to dissect the allegedly "false narrative" that "ExxonMobil 'knew' the risks of climate change in the 1980s, chose to ignore or suppress that knowledge, stopped or curtailed ongoing climate research and shifted to a policy of funding climate change denial." Those findings -- which were published early October in the Los Angeles Times, mirroring a separate but similar investigation by Inside Climate News -- have set off a storm of outrage over what "Exxon knew." The New York Attorney General has even launched a formal inquiry as a result of the allegations. In the letter, Cohen concludes with a request for an opportunity to discuss "at far greater length our grievances, and the possible remedies available to us." He signs off with what one reporter describes as "something that looks mighty like a veiled threat to revoke funding from the university." Cohen writes: "ExxonMobil has had numerous and productive relationships with Columbia University for many years, whether through research programs, interactions with the business school or recruiting of graduates for employment with our company. The interactions detailed above are not typical of the high standards and ethical behavior we have come to expect from your institution." According to Politico's Elana Schor and Hadas Gold, who published the letter Monday, "Through its foundation, Exxon gave $219,229 to Columbia in 2014 as part of a matching gift program for educational institutions, as well as $9,000 in direct grants. The company also gave $25,000 last year to the markets program at the university's Center on Global Energy Policy." Press freedom advocates, environmentalists, and even presidential contenders were swift in their condemnation of Exxon following the release of the letter. 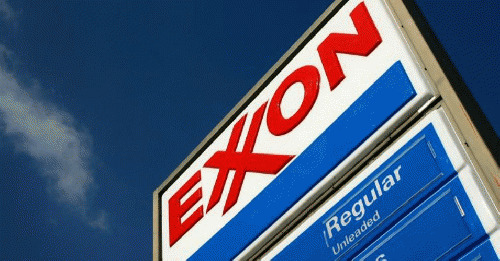 "Exxon's outrageous move to intimidate journalists and academics from doing their jobs is more of the same from a company that has been bullying the public and our elected officials for decades," David Turnbull, campaigns director for Oil Change International, told Common Dreams. "We've often wondered if Exxon actually hates our children because they so consistently stand in the way of safeguarding their future; it turns out they apparently hate good journalism as well," Turnbull adds. "What's worse is that our government is still handing billions of dollars each year to the oil industry by way of subsidies. This is an industry that is out of control, wreaking havoc on our climate and public discourse, and it's time for our public support of them to end." U.S. Senator and White House hopeful Bernie Sanders wrote on Twitter Tuesday, "It's absurd that massive corporations can legally intimidate journalists who dare question them." Meanwhile, Columbia's Bollinger tasked Steve Coll, the dean of the Columbia School of Journalism, with handling the response to the letter, which Coll said he's preparing to publish on the school website "in the next couple of days."